The above products are recommended for installation or mounting of the 6005 Beverage Handrail. Perfect for entertaining, the 6005 Beverage Handrail provides a beautiful and functional space to set drinks or rest an elbow. 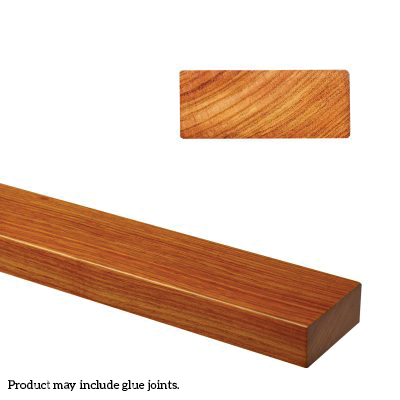 This 4” wide, multi-use handrail is crafted from high-quality wood and can be stained to match your style. The 6005 Beverage Handrail helps you make the most of your space. Square-Top Baluster Mount: The 6005 Beverage Handrail can be plowed at widths of 1”, 1.25”, and 1.75”. 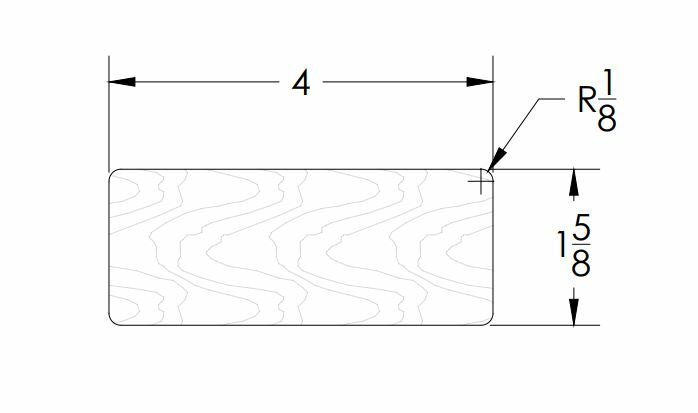 When ordering plowed handrails, don’t forget to include Fillet in your order to fill the openings between square-top balusters after installation. Viewrail System Mount: The 6005 Beverage Handrail pairs beautifully with cable, rod, or glass railing. Both Viewrail Universal Top and Flat Top are compatible with this style of handrail. Bracket Mount: The 6005 Beverage Handrail may also be mounted using Handrail Brackets for Wall-Mounted Handrail. Be aware of code requirements in your area. Most codes require that wall-mounted handrails terminate into a wall. For this reason, Quarter Turn and 45 degree Mitred handrail endings may be necessary. StairSupplies™ offers several premium stain and finish options for our products, depending on the product’s use. For handrails, we offer both clear finishes and stains. Select a clear finish if you want to draw out the natural beauty and colors of the wood. If you prefer deeper, richer tones, our custom-mixed stains are the ideal choice for your Box Newels. I prefer handrail without any joints. Can I buy 8′ or 10′ handrails without joints? If you’re wanting the Beverage Handrail profile, but in a solid piece of wood, let us recommend the 6007 Solid Beverage Handrail. Though this handrail profile is only available in select wood species, you’ll get the same wide profile as the 6005 Beverage Handrail in one solid piece. Hello, I would like to know if this can be used outside on a deck , would like to use the Poplar-stain grade. Thanks. Thanks for the question Randy. I would not use the 6005 for any exterior applications. We have a 6007 solid beverage handrail that will hold up better for outdoor projects. We recommend using Ipe or our Endurance series wood handrails for the best performance, but if you want poplar, definitely use the 6007 since it won’t have any glue joints.